Feeling a ‘warm glow’ at the prospect of buying an ethical product rarely translates into someone actually buying it, recent research reveals. Writing in the Journal of Cleaner Production, researchers examining sustainable buying habits in Germany and the United Kingdom have found that above environmental benefit, consumers are motivated moreso by price when buying ethical foods. The findings emerged from a survey of 900 people spread across Germany and the UK, who were asked what factors informed their decision to buy, or not buy, a chocolate bar carrying one of four labels: Fairtrade, organic, carbon-neutral, and one with no environmental claims. The bars of chocolate also displayed different prices and points of origin. The idea was based on a popular public good principle called the ‘warm glow of giving’, which suggests that the feeling of reward we get when we do something good might positively influence our choices. But in this study the researchers found few parallels between those two things. 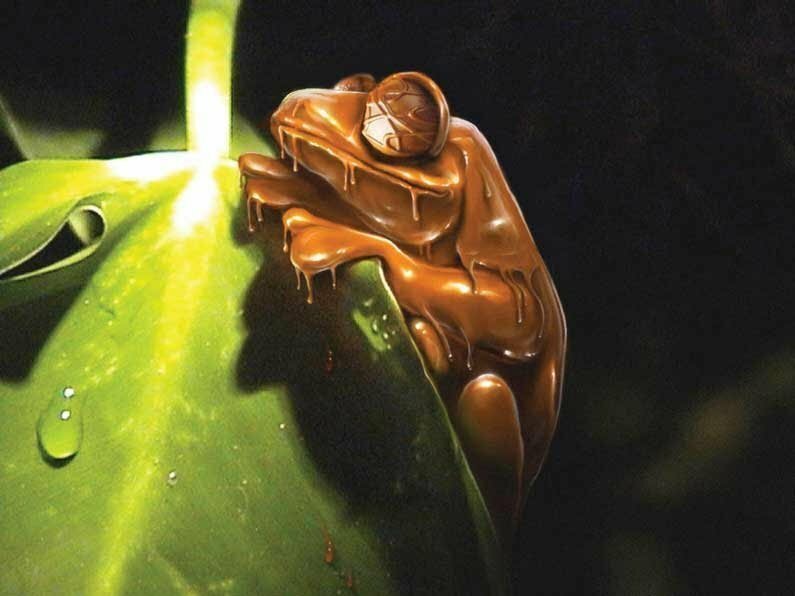 While they discovered that the ‘warm glow’ did have a powerful effect on people’s reported intentions to buy ethical products, the only time that actually influenced consumers’ purchasing behaviour was with Fairtrade chocolate: this was the only label where people’s intentions were put into action. That might have something to do with a high degree of awareness about the Faitrade logo: in the UK almost all the respondents recognised the label, and over 90% of German respondents did too. Despite a similarly high awareness of organic products–mainly in Germany–there was a low purchasing rate of organic chocolate. The researchers suggest that’s because organic products tend to be associated moreso with health than environment–so buying organic chocolate may not be perceived as a particularly eco-conscious move. Comparatively, fewer than 20% of people surveyed in both Germany and the UK were aware of the carbon-neutral label displayed on chocolate bars. Consequently, even though respondents tended to recognise the benefits of reducing their carbon footprint, this did not influence their actual buying behaviour. In any case, in both countries cost prevailed as the most influential factor steering consumers’ decisions about which chocolate to buy. By teasing out how the ‘warm glow of giving’ drives consumer choice, the findings could have ramifications for improved marketing of ethical foods. This is an industry that does not experience high sales figures, despite the growing number of eco-labels that now adorn our food–and therein lies the rub, the study suggests. To feel justified spending their hard-earned cash on eco-friendly products, it seems people first need to feel a high degree of familiarity with, and trust in, a label’s claims–as was clear with the Fairtrade logo. In cases where environmental designations are new, or appear infrequently on foods–like the carbon-neutral label–it may be advisable to explain explicitly what these labels mean to puzzled consumers who are already navigating multiple decisions when they shop. The main takeaway is that it’s clearly not enough to simply slap fancy eco-labels on food and hope for the best. “Today’s flood of frequently unknown labels is counterproductive,” the researchers say. Source: Iweala, et. al. “Buy good, feel good? The influence of the warm glow of giving on the evaluation of food items with ethical claims in the U.K. and Germany.” Journal of Cleaner Production. 2019.